UAE-based property developer Imkan said it has joined hands with Abu Dhabi Municipality to transform the formerly walled Khalidiya Ladies park into an open-air, accessible, multi-dimensional green space. Construction at the park, with an area of 46,000 sq m is well under way with completion targeted for the fourth quarter of 2019, said a statement from Imkan. Once completed, Sheikha Fatima Park will consist of an adventure zone, a section devoted to women and children, multiple retail and F&B (food and beverages) outlets, activity areas, interactive outdoor and educational zones. There will also be 350 parking spaces available. along with dedicated facilities for people of determination, it stated. With its prime location and roughly 10,000 sq m of leasable space available for providing one-of-a-kind services in a picturesque setting, the park also offers an attractive opportunity for both regional and global business. Imkan said it is working on the park revamp with Al Fara’a Engineering, which was awarded the main contract for the development of the project. The construction group is one of the region's most established and has been committed to operating in an environmentally and socially responsible manner for over 30 years. Also working as key partners on the project are: Arcadis, a leading multinational cost and project management consultancy firm committed to sustainable development and Cracknell, a landscaping designer which is globally renowned for its design solutions. A globally-reputed property developer renowned for creating soulful places that enrich people’s lives, Imkan is revamping what was once a walled and almost secret park in Khalidiya in one of Abu Dhabi’s busiest districts. 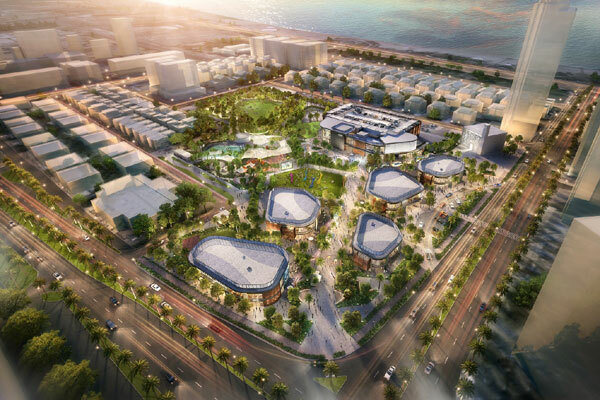 Once the work gets completed, Sheikha Fatima Park, which is located at the corner of Al Bateen Street and Zayed the First Street, will be a revitalised, multi-use space and a hive of community-led activities and will turn into a dynamic destination for all ages. At the heart of the Sheikha Fatima Park project is Imkan’s desire to promote an active lifestyle, encourage wellness, and bring the community together. Its research-based approach is prominent across the Imkan portfolio and evident in the redevelopment of this project. CEO Walid El Hindi said: "We are proud of Imkan’s partnership with Abu Dhabi Municipality to develop the city’s first-ever urban park," he noted.